Cebo has been dancing since before he could speak. Winning his first dance competition at 5 years old. He has since gone on to win some of the world’s largest dance battles such as Juste Debout, and House Dance International. He has also choreographed for King Street Records recording artist Kimara Lovelace. He has shared collaborated with all of the top street dancers in the world today. In 2003 he set out to open a studio in Japan based on teaching the fundamentals of street. Next Generation New York Studios. It is now in it‘s eigth year of opperation with well over one thousand students making it one of the largest street dance schools in the Chugoku region of Japan. In 2013 he started his own dance company GenX The Company based in Okayama, Japan. 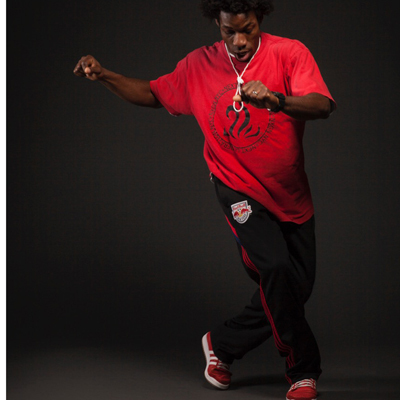 In the summer of 2013 he will return to New York to now join the two communities of street dancers. Through music, feeling, and dance. This class is based on the execution of the style of dance called house. The focus of the class is not in individual steps but the application how the steps work together. The grooves associated to certain steps and how you can add your individual style to the steps. Each class begins with a thorough warm up and stretch. Followed by a combination designed to express different aspects of the style. Curious about how to apply what you are learning this is the class for you. Challenge yourself to dance house not just learn house steps. Music Feeling Dance! This beginners hip hop class is based on the social aspect of the style called hip hop. We go through all the social dance steps that make up the style called hip hop in a slow paced setting. Heavy emphasis on groove and individuality. Each lesson has a groove explanation, isolation break down, and application session either in a routine or a group dance circle. This class is a perfect introduction to not just Hip Hop the dance style but also Hip Hop the culture. So if you are wondering what is hip hop or confused about hip hop come through and get down with the kid. Music Feeling Dance!